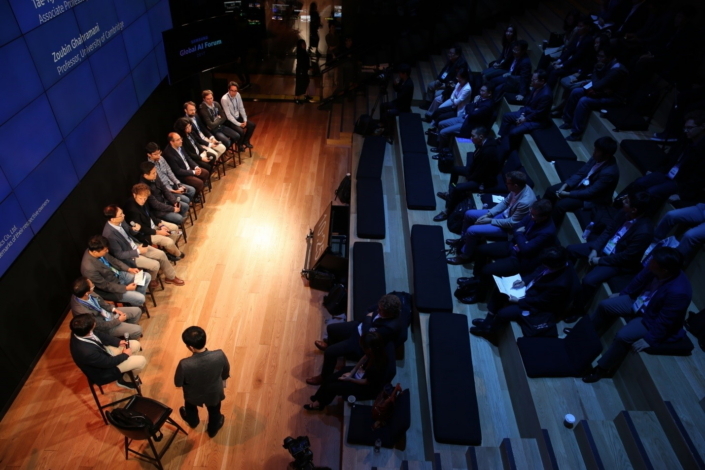 An audience of academics, thought leaders and industry experts gathered to discuss the future of artificial intelligence (AI) at an exclusive Samsung event recently. 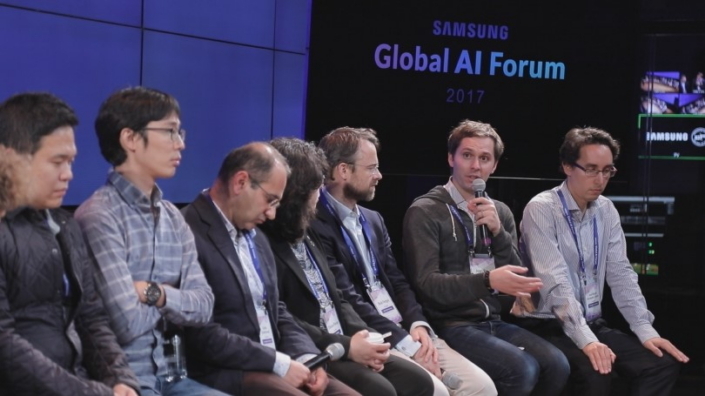 The first ever Samsung Global AI Forum enabled leading thinkers from across the industry to share their insights, talk about best practices and investigate opportunities for collaboration. The event took place in New York at Samsung 837, Samsung’s marketing experience center. It happened at a time when discussion around AI is increasing in importance, with the technology expected to bring about dynamic changes. 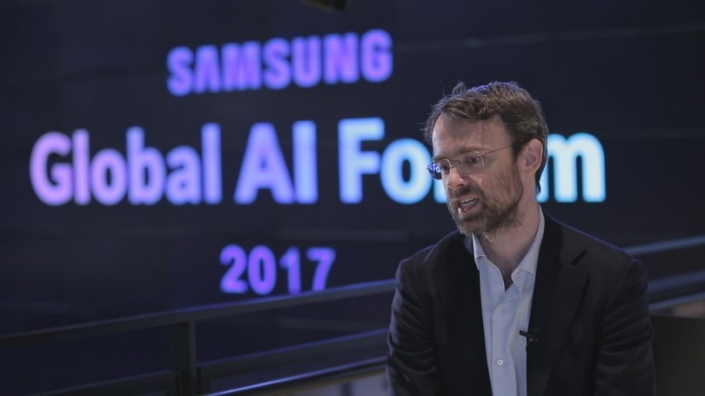 Twenty renowned scholars including Professor Zoubin Ghahramani of the University of Cambridge, Professor Barry Smyth of University College Dublin, Professor Alexander Rush of Harvard University and Professor Rob Fergus of New York University were invited to the Samsung Global AI Forum. 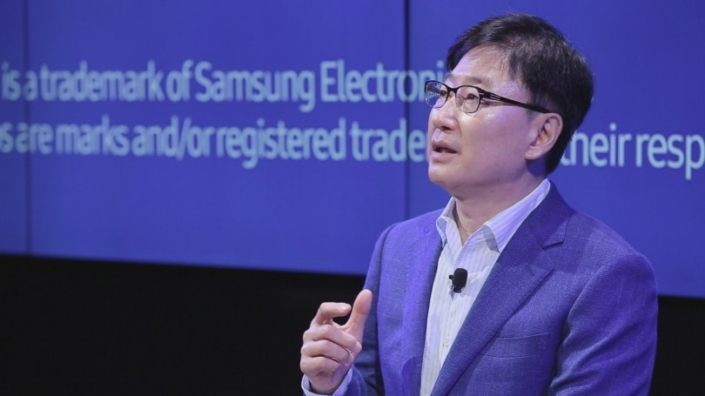 Along with Samsung Electronics executives and staff, they talked about the major areas of AI application and how the hindrances in advanced AI algorithms can be overcome. 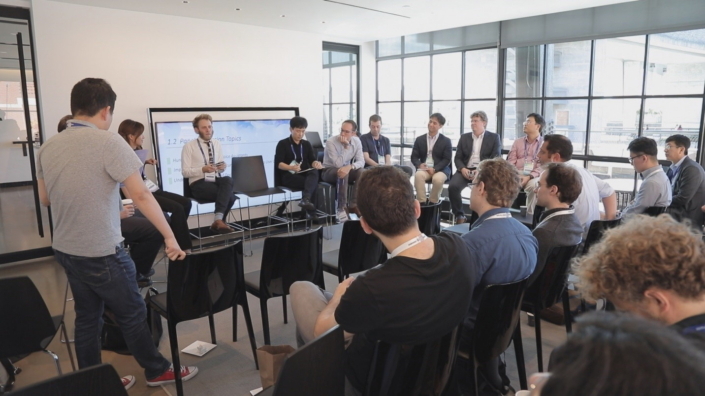 The forum consisted of four separate sessions: Natural Language Processing; Computer Vision; Data Analytics/Recommendation System; and Overcoming Limitations in AI. In the first session on Natural Language Processing, participants reviewed the current stage of development in voice recognition and voice command technology and discussed ways to achieve a higher level of language processing in the future. The next session on Computer Vision covered the advancement of deep learning technology in image recognition, including its application in areas such as shopping, search, and autonomous driving. In the session on Data Analytics/Recommendation System, the participants discussed on how to drive consumer innovation and production efficiencies by leveraging data, which has been growing rapidly due to increasing smart devices and the Internet of Things (IoT). The last session addressed the future of deep learning technology and its limitations to apply in many areas which relate to interpreting the vast amount of quality data and the flexible application of algorithms. Samsung announced its plans to make the forum an annual event so that the direction of AI technology development and technology innovation can continue to be discussed, and the company will continue to strengthen its global network of AI scholars to speed up the rollout of the technology in the future.